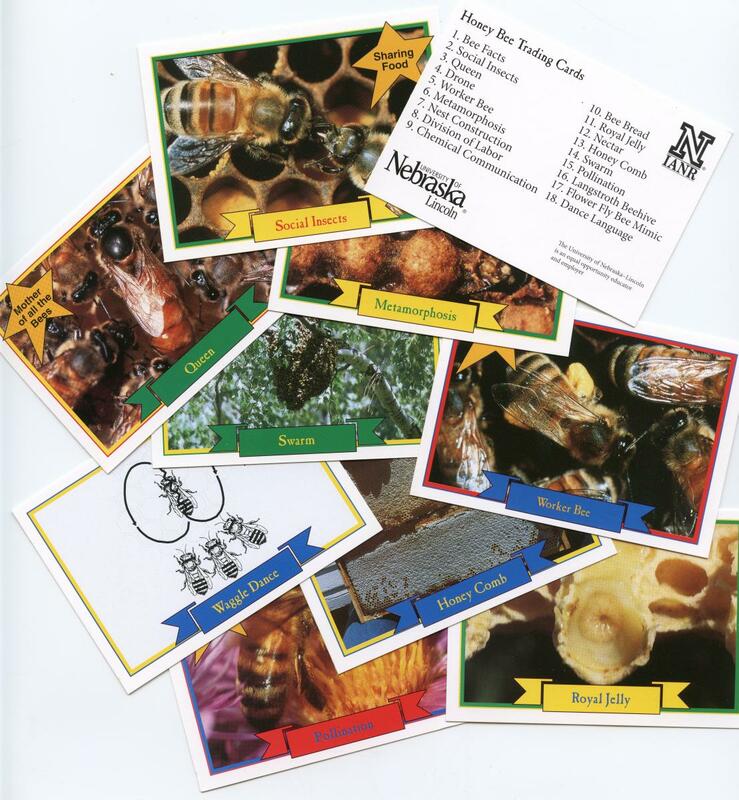 The UNL Entomology Department has available for purchase a set of trading cards from the Nebraska Beekeepers Association. 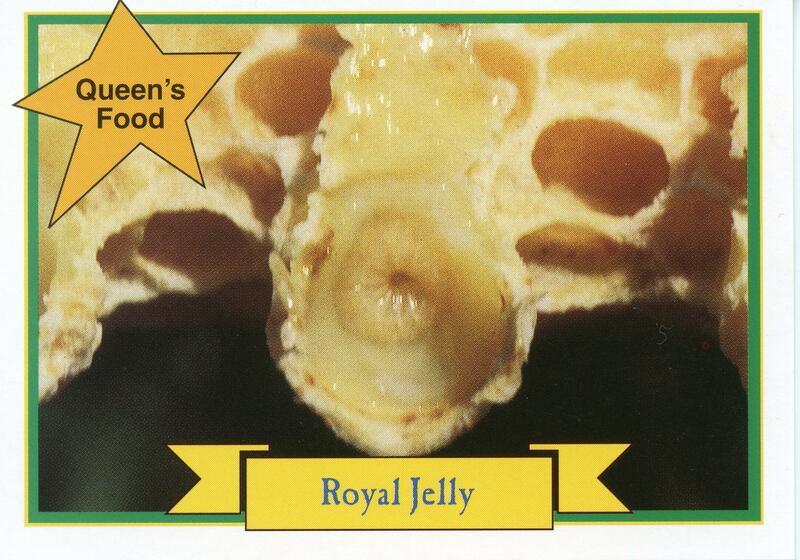 These cards include 18 different images with cooresponding information about bees and pollination. 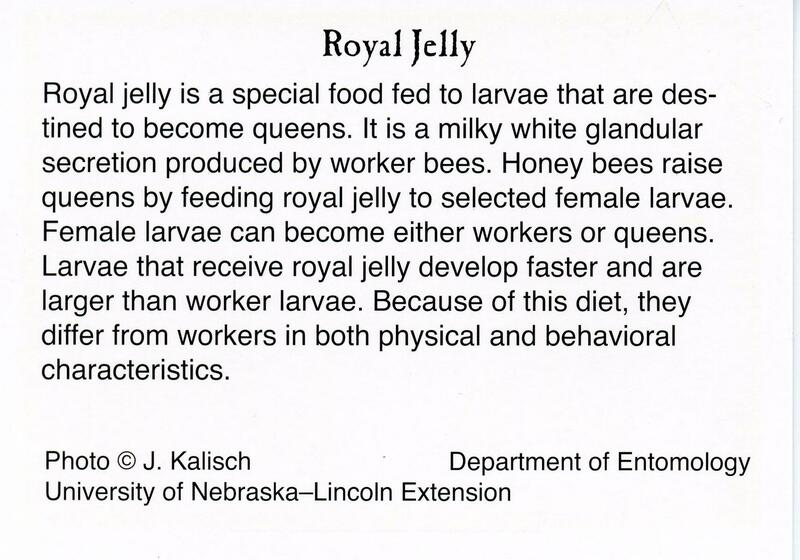 Card topics include bee facts, social insects, queen, drone, worker bee, metamorphosis, nest construction, division of labor, chemical communication, bee bread, royal jelly, nectar, honey comb, swarm, pollination, langstroth beehive, flower fly bee mimic, and dance language. Cost is $1 (NE Beekeepers Assn members) or $2 (non-members) per individual set of 18. Bundles can be purchased for $30. This includes 100 cards of each of the 18 images. Cards can be picked up from the Entomology Department or shipped. Note that shipping rates vary upon location and number of card sets/bundles ordered. Contact Dustin Scholl for more information.